Hi, my name is Becky McGaffin. 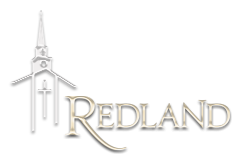 I am the youngest child of Charlie and Louise Brinkman and I’ve attended Redland since before I could walk. I came to faith in Jesus through the instruction of my parents at home and the teaching at this church. I was able to see my parents model their faith throughout my whole life. Both of my parents have been actively involved in Bible study, prayer, reading God’s word, and service and leadership in the church. They have incredible Christian friends that they rely on and who help to share their burdens. My parents poured their love into their family and I was incredibly blessed to grow up in their home. I accepted Christ as a young child and my faith matured with the help of Sunday school, choir, GAs and having Christian friends. I made my faith my own when my parents allowed me to go on a month-long mission trip to Venezuela in my 10th grade summer. I chose to go to a Christian college and it was at Grove City where I met my husband Dave. In college I was with other maturing believers who sought ways to deepen their relationship with God and to serve others. I am thankful to have married a strong Christian man who loves God and his family and who encourages me in my faith. I have been in a Bible study for over 17 years with an amazing group of women who have walked life with me and challenged me in my faith. Knowing Christ as Savior means that I believe that God is in control of everything. When I read through the Chronological Bible it struck me the many ways that God draws people to Him. It is very rarely in comfortable situations where we are drawn to Christ. I like being comfortable but I know that God has taught me and used me more when I allow myself to be a part of uncomfortable situations. When Dave and I had our first child and found out the day he was born that he had Down syndrome we were crushed. We loved this child we were holding in our arms, but that diagnosis did not fall into the expectations we had for our lives. Knowing that Christ is Savior meant to us right away that Noah wasn’t an accident. We were sad about his disability, but we have always been proud to be his parents and God has taught me so much through Noah. I have learned repeatedly through being Noah’s mom that God often does not use our strengths but our weaknesses to glorify him. Having Noah allowed me to minister to other parents of children with Down syndrome and to others who have had life experiences that were unexpected. God taught me a very important lesson during that time that our pain often comes from mourning the loss of our expectations. Lamentations chapter 3 spoke to me so clearly during this time, and has been a section of scripture that I go back to over and over when I am feeling anxious, frustrated or upset. I will read only a portion of the chapter…but listen for the YET….I think it is one of the best “Yets” in the Bible. God has taught me to rely on His mercies every day. I realized that I would become incredibly anxious if I thought too much into the future for Noah. I have learned that God does not give me the strength I need for 10 years from now at this time. I have to go to Him each day for the strength that I need. He has surrounded me with the friends, family and church that I need to support Noah and me. I have had an amazing life being Noah’s mom. I am so thankful that God’s plan was different and that he has used Noah to work in me. Knowing Christ as savior has also given me an eternal perspective. I believe that Christ works all things together for the good of those who love Him and are called according to His purposes, but I think that the good that Christ promises is to become more like Him and to be able to bring Him glory in all situations. I don’t believe that he promises us an easy time on earth, health, job security, or wealth. I do know that regardless of the situation that God has enough strength for it and I only need to rely on Him. This eternal perspective has allowed me to face my father’s illness and a close friend’s personal tragedy with the knowledge that this life isn’t all there is and that we will have perfection when we get to Heaven. God has used me in different ways at Redland. As my children have entered middle and high school I have stepped away from the roles I had in children’s ministry and I found myself in a spot where I wasn’t serving. When I was asked to consider being a deacon my first thought was, “I’d be terrible at that.” But then as I prayed about it I felt that God was telling me that while I am not a natural at hospitality and I’m not gifted at small talk or engaging with people I don’t know—that if I trusted God, He would provide me with the wisdom I needed to serve the people of this church. God is powerful enough to use my weaknesses to bring Him glory. Mark 10:42 – Jesus called them together and said, “You know that those who are regarded as rulers of the Gentiles lord it over them, and their high officials exercise authority over them. 44 – and whoever wants to be first must be slave of all. This is a mountain in Peru named Siula Grande. Most people who climb this peak do so on this face—the eastern face—because it’s easier—safer. But in 1985 two climbers: Joe Simpson and Simon Yates—decided to go against the flow and attempt to reach the summit by going up the treacherous western face. This is what it looks like. They were successful but as they were making their way down a powerful snow storm hit and Joe fell—suffering a severely broken leg. They knew they were beyond help from others so they did their best to descend with Simon helping Joe as much as he could. At one point, Simon had to tie a rope around Joe and lower him down the side of the mountain—but due to all the blinding snow he couldn’t see where Joe was headed—and before he knew it Joe dropped over the edge of an ice crevasse—hanging there in midair. Simon tried to pull his friend back up—-but he began to lose traction and realized they were both about to die so he pulled out his knife and cut the rope. After surviving a night in that storm Simon made his way back down to where the two had set up base camp. He assumed his friend had fallen to his death. But he hadn’t. Joe fell several feet but survived. However, he was trapped deep in that ice crevasse. He made several desperate attempts to climb up and out—but realized that with his injury, getting out by going UP was impossible. So, he went against his instincts—against everything he had been taught—and decided to climb DOWN deeper into the crevasse—in the hope that he might find a way out down there. And it worked—by going DOWN, he eventually found a way out. He spent days crawling back to base camp across glaciers and rocks, dragging his broken leg behind him the whole way. Finally, suffering from frostbite, and severe dehydration—exhausted and near delirium, Joe reached the camp only a few hours before his fellow Simon packed up to return to civilization. And as I inferred, this is exactly opposite of the way our society tends to look at things. The vast majority of the people in our country tend to think that the way up is to CLIMB UP—the way to GAIN is to get. As someone once put it, “In the vocabulary of our world ‘DOWN’ is a word reserved for losers, cowards, and the bear market. It is a word to be avoided or ignored—it is a word that negatively colors whatever it touches. We say: DOWN and out, DOWNfall, DOWNscale, and DOWNhearted. Down’s antonym is ‘UP’ — a word in our high-voltage society that has come to be cherished and worshiped—a word reserved to describe winners and heroes. In the verses I just read, Jesus calls us to follow His example and go DOWN—He calls all His followers to practice the discipline of service. So—this charge is not just for Becky as a DEACON—about to begin her years of SERVICE to our church. It is a charge for us all—it’s a reminder that the best way to be the best neighbor is to be like Jesus and embrace a life of service. Okay—Becky—and everyone—what is involved in this discipline? (1) First, we must learn to embrace the MUNDANE. Jesus calls us to serve in doing those acts of service that don’t bring US glory—acts that are often unseen. He wants us to work helping others in ways that are just plain basic everyday—often mundane—helping. I’m talking about the things that tend to be out of the limelight because when we do— eventually we get to the point when we do that kind of thing without thinking something like, “What a wonderful thing I’ve done!” As we grow in Christlikeness, we begin serving others in basic ways—naturally, effortlessly, for the simple joy of doing so. We learn that this is the way life—the abundant life of the Kingdom of God—works. Mundane opportunities are all around us all the time—and not just for deacons like Becky. Giving someone a ride to a doctor’s appointment. Picking up sticks in that elderly neighbor’s yard. Stopping to help someone change a flat. Helping clean the tables after the Wednesday night meal. Offering to watch a friend’s kids. Do you get my drift? I’m talking about simple things—the kinds of things that don’t usually get you noticed—basic acts of service. Dave Stone, pastor of Southeast Christian Church in Louisville tells a story about his Uncle Greg who had cerebral palsy and was pretty much a quadriplegic. Greg was able to get around quite well with an electric wheelchair, and he had minimal use of his right arm but that’s about it. Plus his speech was often very difficult to understand. A few years ago, Greg attended a handi-camp week at Country Lake Christian retreat. A church member named John served as a volunteer that week—and was assigned to Greg. That meant that for an entire week, 24 hours a day, John did everything for Greg. He fed him every bite of every meal. He held the cup to his lips for every drink. He wiped his mouth when needed. He slept on a concrete floor on an air mattress beside Uncle Greg’s bed. He took him to the bathroom and cleaned him up after. Mundane stuff—I mean, John wasn’t donating a million to charity. He was just feeding and cleaning an elderly man. One day John got some of the other volunteers together and took Greg out on the lake in a special floatation device. In this way, Greg was able to “swim” for the very first time in his life. John thought that was a pretty big deal. Everyone who helped did. I mean giving a paraplegic the experience of swimming—what’s cooler than that!? Greg was ministered to MOST by the UNSEEN things—the MUNDANE things—the kinds of things every other counselor was doing. Deacons—servants—everyone—to become like Jesus, we must learn to embrace that kind of lifestyle—a day to day attitude of looking for ways to helping others—serve others—in basic, unseen ways. (2) Here’s something else about the discipline of service—you have to learn to embrace interruptions. A few verses before the text I read a moment ago in Mark 10—there is that familiar scene where Jesus is in the middle of teaching and someone brings him a child to bless. Do you remember that? Jesus’ disciples were angry that our Lord would be interrupted in that way—and Jesus was angry right back at His disciples. He said, “LET the little children come unto Me! Bring them on!” With that Jesus’ teaching went from speaking His message—to showing it. Our Lord was SHOWING us that following Him means always being available to serve—being INTERRUPTIBLE. This is a hard one for us to embrace here in Montgomery County. We all have long to do lists. We are always busily hurrying from place to place—so interruptions are the enemy—they are the things that keep us from getting “more important” things crossed off our important to-do lists. Jesus says, if we want to be like Him, we have to change that mindset. We have to help whenever help is needed. We have to embrace interruptions—looking at them as Divine appointments. These two police officers gave an hour of their busy day to help this woman get home. They turned down calls for much more “exciting things” to serve this individual. They were interruptible. Are you? If you doubt that, read the Gospel accounts. Wherever He went Jesus was stopped by needy people—and He never failed to help—even if His interruption was in the form of a lady touching the hem of His robe—or a short tax collector who had climbed a tree. To be a servant—LIKE JESUS—means always being available for people. (3) Here’s a third thing. The discipline of service involves embracing silence. Bonhoeffer referred to this as “the ministry of holding the tongue.” He was referring to the need for us to resist the temptation to share everything that is on our mind—especially if doing so hurts others or makes us look important or wise. And this TOO is hard for us. Like kids who love to get a hold of a microphone we love to get the floor and the attention that comes with it. I’m convinced this is why social media is so popular. It gives everyone and anyone tons of “microphone opportunities” — times to exalt ourselves—times to use our words to hurt others—times to widen the division in our country today instead of working to narrow it. Embracing mundane acts of service. Service means being FOR people—which means obeying verses like Galatians 6:2 where it says, “Bear one another’s burdens and so fulfill the law of Christ.” That bearing can involve physical burdens—like John did when he helped Greg the paraplegic and like those two policemen who helped that poor woman get home. As I said earlier—giving in that way—putting others first even if it means making their burdens our own—that leads us to gain a life of abundance and meaning. It’s good for us to do that kind of thing. This week I read about a study of 132 patients who suffered from multiple sclerosis (MS). Researchers divided these people into two groups. One group met weekly to learn coping skills—how to cope with MS. But the other met monthly and received support from another person with multiple sclerosis. The goal was to see which group fared better, those learning coping skills or those hearing from another MS sufferer. The surprise finding was that neither group fared as well as did the five MS sufferers who had been trained to offer support to the second group. The study found that “giving support improved health more than receiving support.” Those five MS sufferers who spent their days helping others—bearing their burdens—they felt a dramatic change in how they viewed themselves and life. Depression, self-confidence, and self-esteem improved markedly. The main researcher said, “These people had undergone a spiritual transformation that gave them a refreshed view of who they were.” Caring for others brought healing for the caregivers. Christian servants have learned the same thing. It brings us joy to help others. When we take the focus off helping ourselves—and turn to helping others—we end up helping ourselves in the process. But embracing people is more than bearing another person’s tangible burden—it means bearing with people—even difficult people—until we learn to love them. This attitude is born in the knowledge that God loves ALL people—even those who are difficult to love—those who are difficult to bear even being with. It’s bearing with them until we learn to hear God speak to us through them. It’s learning to be “for” the people we most want to be against. It doesn’t mean becoming their best friend—but it does mean learning to want the best for them—and releasing the right to hurt them back. Perhaps this is the way we become most like Jesus—Who prayed for His persecutors. Let’s all stand now and read together the responsive reading that is in our bulletins. Becky, in the name of the Lord Jesus Christ, and by the authority committed to me as Pastor of this congregation, I now declare you to be set apart and commissioned for the work of a Deacon, and duly called and installed to that ministry in this church. You may be seated. We close now with a song of commitment—to encourage us all to follow Jesus’ example and commit to a life of servanthood. If you have a public commitment to make—we invite you to make it at this time. Perhaps you need to respond by giving your life to Jesus—-professing that you have asked Him to forgive you and take control of your heart and life. Or—you may feel led to commit to become a part of this church—moving your membership here to this place. Whatever decision you have to make I invite you to walk this aisle and share it with me now as we stand and sing.